Jason and Peter are among our favorite potters. We've been buying their pots for years. 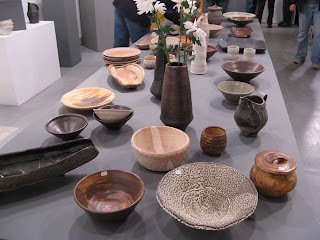 We returned from their 5th Annual Pottery Sale with a pitcher by each artist, a vase by Peter, and a bowl by Jason. All will get a lot of use. Photos by John Whiting. 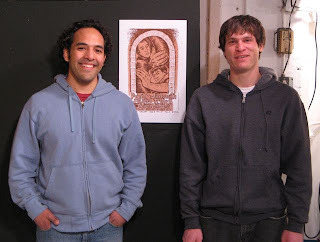 Top: Peter (left) and Jason. A table at the sale. 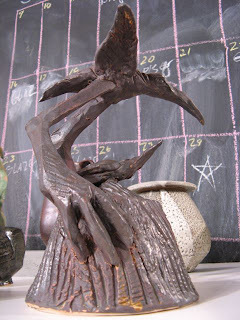 One of Peter's creature pots.